“Welcome. Please visit our Children's Art Show. It features a selection of children's art from the Multicultural Children's Art Museum collection. “We are a local nonprofit that teaches children how to create awesome art and teaches adults to appreciate it. 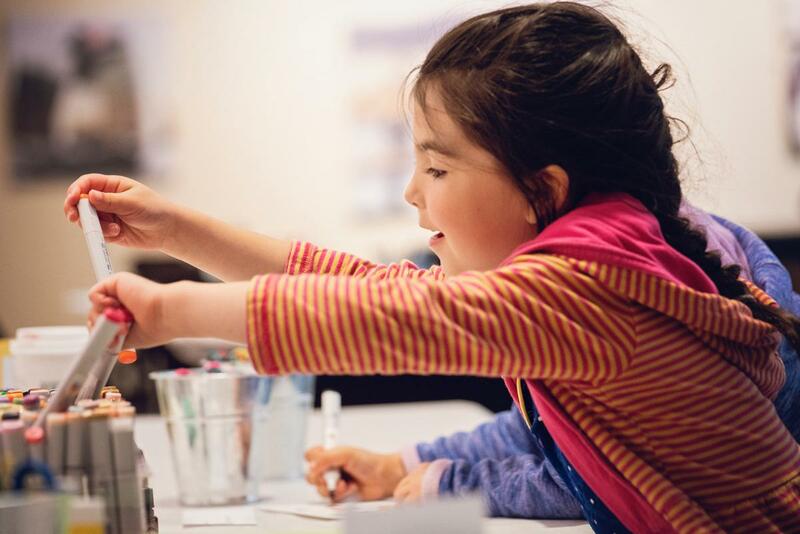 We run an art education program for children ages four to thirteen and regularly set up exhibits around town showcasing local and international children's art. The Lobby Arts Gallery is open for viewing during box office hours, noon – 6:00 pm Monday through Friday.